Every month I will do a portrait of Apprentices magicians, artists or total beginners enrolled in a Workshop. Today I invite you to meet Michelle who lives in Brisbane, South East Queensland, Australia and is quite a fascinating Character! 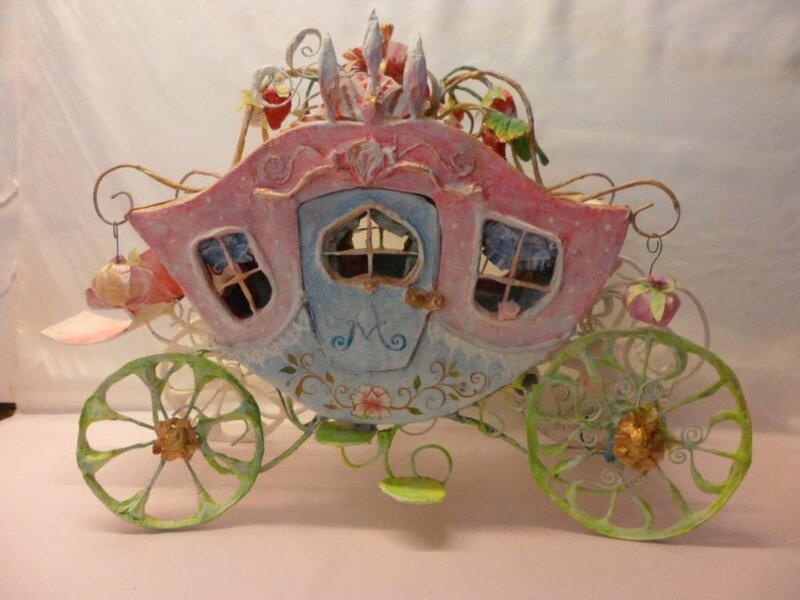 She joined the fairy tale Carriage and the Dollhouse Workshop and we had several occasions to chat in our skype group calls. 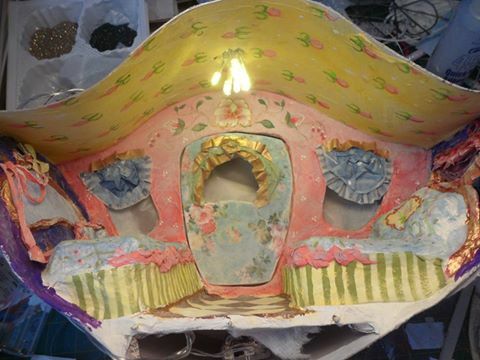 She has not started the Dollhouse yet as she had planned to do it later this year during her holidays. When she isn't working on her workshops Michelle is quite busy! "I was inspired in part by old houses. I love to explore old, abandoned houses and try to imagine the many family stories embodied in the changing architecture over the decades and the and the peeling paint on the walls and ceiling "
She also shares on her facebook page her adventure with ceramics as she is learning it at the moment with a ceramic master when she could start to get bored and lazy with her Uni assignments ! I 'm very jealous of her energy and productivity ! I really wonder how she can do so many different things at the same time ! If you fancy competing with her Carriage the doors of this workshop is still open ! A Creative week to you !